Want quicker sales and higher sales prices? Staging a home might be the ticket, because it helps potential buyers see themselves living in a property. And then there’s virtual staging—using technology to present a property as it could be. Virtual staging has some significant benefits. For starters, it often costs a fraction of the cost of actual staging. You don’t need a stager to actually move furniture, nor do you need to rent or buy furniture or accessories. Many virtual staging companies offer packages based on the number of pictures you need, so you can adjust your investment based on needs. Virtual staging is ideal for empty properties or those still under construction. 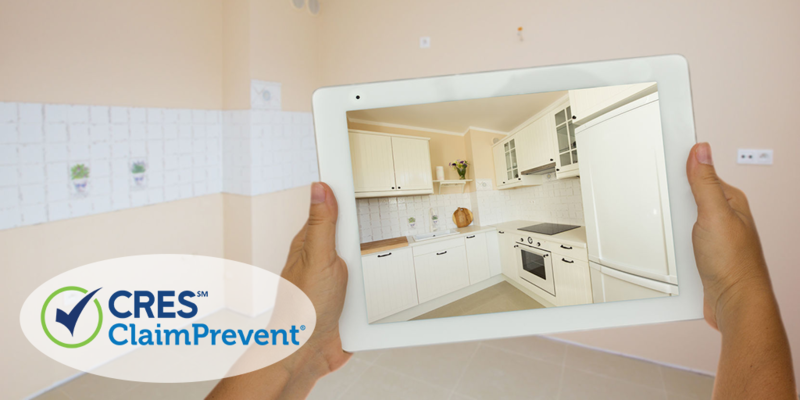 Instead of hoping potential buyers can see what a house might look like or imagine a room filled with furniture, they can see the vision of possibility in the virtual images. The technology for virtual staging has come a long way. Virtually-altered photos look a lot more realistic than they used to. This realism is both a plus and a danger. Virtual staging can be a boon when selling a property—if it’s done right. Otherwise, it can lead to real estate legal issues. Computers allow you to change wall colors, insert furniture, or show possible kitchen upgrades. These changes make photos appealing to potential buyers searching online. Some real estate agents have noted a big uptick in showings after virtually-staged photos were posted. Virtual staging can get people interested and in the door. Once in, they may be disappointed as they look at empty rooms, not the beautifully-staged ones they saw online. Some virtual staging companies recommend placing framed photos of each staged room in the house to help potential buyers connect with the idea of the space that they loved. Disclose all virtual staging. Any photos that are digitally altered should be clearly labeled to show that they are possibilities for the property. In addition to helping avoid legal issues, this clear notice can prepare interested parties to see an empty or sparsely- furnished property at a showing. Share current and modified pictures. One clear way to give potential buyers a sense of the space and its possibilities is to show current and modified pictures side by side. Use clear labels to give buyers a real view of the property, while helping them imagine what it could look like with furniture or changes. Staged images should show how things could be. Staged images should show how a buyer could realistically change the house. For example, you might want to show what the unfinished basement could look like as a family room or how the kitchen could look with updated features. It’s fine to remove a garbage can from an outside shot of the house, but don’t remove permanent structures such as high power lines or a water tower. Photos that create a false reality are misleading. Get legal advice. Before using virtual staging, you may want to get legal advice on specific changes you can make, or specific language to use for disclosing that photos have been digitally staged. Virtual staging can have a big payoff, when you take care in how you virtually stage a property. But if you are sued for misrepresentation or failure to disclose, you’ll want legal advice right away. The right real estate E&O is essential when real estate legal issues arise. When you have CRES Real Estate E&O + ClaimPrevent®, the CRES legal team can help answer questions about specific issues or take action that may help you avoid a lawsuit. Do you use virtual staging? How do you make sure potential buyers know photos have been altered?